As new reports over the weekend and continuing today have made clear, Gibraltar is the UK’s most vulnerable overseas outpost as the UK plans its departure from the European Union, owing to its location – on a rocky finger of land extending off Spain’s southern coast – and because Spain has long made clear its belief that Gibraltar ought to be a part of it. 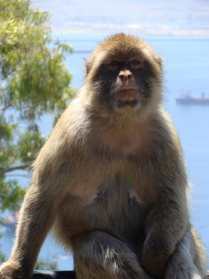 The subject is never far from the surface of life in Gibraltar, but the debate intensified after the Brexit vote last year, when Spanish officials proposed a ‘joint sovereignty’ arrangement that they suggested would enable Gibraltar to continue to enjoy the benefits of EU membership – which Gibraltar firmly declined. Most recently, Spanish officials indicated their willingness to make use of previously-overlooked options the Brexit process may give it to insist on its “right” to Gibraltar once the UK is no longer a part of the EU. Below, Peter Body takes a look at this determinedly British, 2.6sq mi financial centre, and its quietly feisty plans to carve out a future for itself, still allied to the UK, once its EU links have been severed. To some, it used to be known as “Aldershot by the Sea”, but these days, most of the British Army squaddies whose presence led to the coining of that sobriquet have long since left the Rock of Gibraltar. Today, in the crowded streets of this picturesque city around the base of the well-known rock, you will still find evidence of Britain’s lingering military presence, which contributes 7% to the Gibraltar economy. But you are just as likely to meet an investment manager, an IT expert, or perhaps the owner of a super yacht berthed in one of the glittering marinas nearby. For modern Gibraltar is much more than a one-time fortress perched on a fine strategic location at the entrance to the Mediterranean. For one thing, in addition to being one of the world’s smallest jurisdictions, it is also one of the wealthiest, as measured by gross domestic product (about £1.64bn in 2015). This is generated by a resident population of just 33,140. This has grown by an average of 12.2% a year over the past five years, which places Gibraltar fourth in the world for GDP per capita, ahead of the likes even of Singapore and Hong Kong. To be sure, these figures may be slightly skewed by the fact that more than 10,000 people, or nearly half of the working population, travel to work on ‘the Rock’ from Spain every day, and so are not counted in the census figures. Nevertheless, the highly-paid jobs which attract this daily army of cross-border workers is certainly proof of a prosperous economy, which the Gibraltar government says it expects to continue to grow, at least in the short term. Longer term, though, Gibraltar is seen to be the part of the United Kingdom that is most vulnerable to the inevitable but as-yet-unknown changes that will result from the UK’s pending departure from Europe, as a result of last year’s Brexit referendum. This is partly due to the fact that it’s the only part of the UK that sits on the European mainland, as well as the fact that it shares a border with an EU member state – Spain – with which it has had strained relations for years. The relations have been strained because Spain has long claimed sovereignty over Gibraltar, even though its population opposes any formal link with its Spanish-speaking neighbour to the north. Even before the vote, delays at the border crossing with Spain, running into several hours, were often claimed by Gibraltarians to be deliberate, as they were seen to be accompanied by an unspoken message, to the effect that if Gibraltar were a part of Spain, there’d be no need for border checks to be carried out. 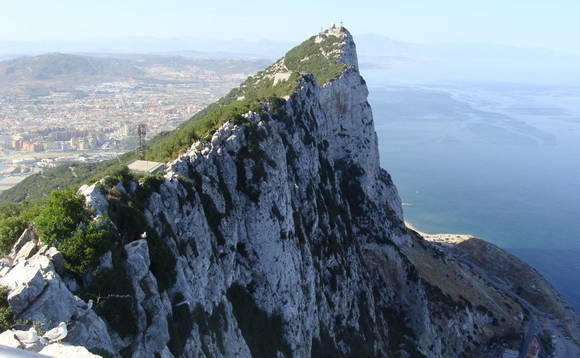 As pretty much everyone knows at this point, after the past weekend’s coverage of Spain’s latest comments with respect to Gibraltar’s post-Brexit future, Gibraltarians, who voted in favour of remaining in the EU by 96% to 4%, are determined to remain a part of the UK. As recently as the end of last year the government rebuffed a Spanish proposal for “joint sovereignty” of the jurisdiction with the UK, even though such a deal would enable it to retain, Spain said, its EU benefits. Thus it is that the Gibraltar government sees keeping the border “fluid” as one of its key goals going forward. In fact, this was one of the points Gibraltar’s chief minister, Fabian Picardo, drove home during his meetings with UK officials and journalists in London in February. According to Picardo, a so-called “hard border” with Spain in the wake of the British withdrawal from Europe could cause major hardships for the Rock, and contribute to the unleashing of economic effects “not seen since the 1930s”. What Picardo has called the “historic error of judgment” that was the Brexit vote has left his Socialist Labour Party government to have to face a future that will include the loss of Single Market benefits and EU grants, which it’s hoping to do, he says, in part by concentrating on Gibraltar’s strong links with the UK, which still provides the vast majority of the Rock’s business. “The important issue for Gibraltar, going forward, is that we should preserve what has been – and I’m sure will be in the future – our principal market, both in terms of financial services as well as in terms of online gaming: the United Kingdom,” Picardo said in an interview with International Investment during his London visit. Noting that around 15% of UK motor insurance is written through Gibraltar insurance companies, and as much as 60% of the online bets taken in the UK are taken by Gibraltar online entities, Picardo added that it was possibly not surprising that “about 90% of financial services and other services sold in Gibraltar are sold into the United Kingdom – not into the rest of the European union or the world”. This, he went on, has been his message to the British government, as it prepares to begin the negotiations for leaving the EU. If new licences are anything to go by, the Gibraltar insurance industry seems to be taking the prospect of Brexit in stride, according to Mike Ashton, the insurance specialist at Gibraltar Finance. 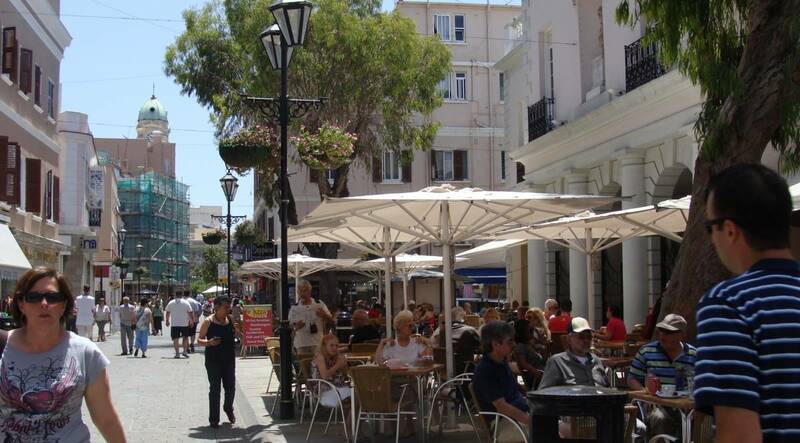 Eight new insurance licences were approved in Gibraltar in the six months to last September, he reported, adding that there was “serious interest” from two companies that have expressed an interest in building Gibraltar’s life insurance sector – which currently accounts for just £100m in premium income, compared to £3.6bn in Gibraltar’s non-life insurance business. The key attraction of a small domicile like Gibraltar for insurers, according to Ashton, is the relationship they are able to have with the regulator, and speedy licence approval, and that is why, he noted, new types of insurance businesses, such as insurance-linked securities (ILS), are beginning to be attracted to the Rock. The first ILS transaction was a €100m collateralised reinsurance product in April 2015, one of two such deals completed thus far. But Ashton believes that this sector will grow, and that it will do so through innovation, rather than by poaching business from Bermuda or Guernsey. Gibraltar’s stock exchange, known as the GSX, also seems to be betting on innovation, as well as service, to attract listings and investors, regardless of what happens with respect to the EU. The exchange, which first got its licence from the Gibraltar regulator in 2014, recently gained approval from the UK’s tax authorities for its securities to be used by British investors in their UK Self-Invested Personal Pensions (SIPPs) and Independent Savings Accounts (ISAs). The exchange has also taken its first step into the realm of “cryptocurrencies” with the listing of BitcoinETI last July, which calls itself the first asset-backed exchange-traded instrument in the EU that invests exclusively in digital currency. The listing, which the Gibraltar exchange shares with the Deutsche Börse, is joint partnership between the Gibraltar securitisation specialist, Argentarius ETI Management, and local fintech company, Revoltura. And Ransu Salovaara, chief executive of Revoltura, said he is planning further listings in the “disruptive technologies” sector. “By listing the ETI on the Gibraltar Stock Exchange, which is an EU-regulated market, we are able to bring a high-level of transparency and liquidity to investors,” Salovaara said. More recently, the GSX has also expanded to include a self-regulated GSX Global Market, for listing debt securities and closed-ended funds under local rules, in addition to the main market for EU-regulated funds. Nick Cowan, managing director of GSX, admitted that Brexit will force the GSX to explore new options to access the single market. “We will also look to exploit Gibraltar’s position as a gateway into the UK for EU issuers, post-Brexit,” he said. Gibraltar’s funds industry also seems confident that the UK’s departure from the EU will not have a major adverse effect on its business, which is still very UK-centric. Joey Garcia, financial services partner at law firm Isolas, said that 90% of Gibraltar’s funds operate outside the UCITS and AIFMD directives. Like the GSX’s Cowan, he mentioned the potential business opportunity that could well develop for Gibraltar to act as a gateway for European fund providers keen to access the UK market. In the end, chief minister Picardo probably explained the Gibraltarian view with respect to Brexit better than anyone else could have done, in his testimony last month before Parliament. His impassioned explanation of Gibraltarian loyalty to Great Britain even drew applause at one point, when he made reference to the territory’s famous “rock” as being – like him – “red, white and blue, inside out”, something that, he added, “we will never, ever countenance changing”. Like most Gibraltarians, Picardo went on, he has Spanish ancestry – in his case, a grandmother who had been “the only one of my grandparents that I knew” – so the issue with Spain and the border it shares with Gibraltar isn’t as simple or black-and-white as it is sometimes portrayed. “Anybody who thinks…that we [Gibraltarians] ‘hate the Spanish’ doesn’t understand the make-up of the Gibraltarian,” he said. “When you’re born something, that’s what you are. “When you look at that context and that make-up, it’s impossible to be anything other than what you are. To read about how Gibraltar is forging links with China and Chinese businesses keen on international expansion, click here. To read about how the government of Gibraltar accommodates its financial services industry with fit-for-purpose regulations –although it recently drew the line at enabling “flexible access” to pensions – click here.